Zucchini in June! What a treat, often we have had to wait to mid or late July for those. And the blueberries – how great were those? Please remember too, most vegetables are entirely edible – the greens from turnips, kohlrabi, beets, and carrots are all edible. The first cucumbers of the season this week, as well as fennel – the green stalks on fennel don’t cook up soft but do add nice crunch chopped into salads, etc. We want to thank our volunteers and site supervisors. You all really rose to the occasion and kept your sense of humor during a very wet pickup. A shout out to Lucas for your cheerful and welcomed help! No Lewis Waite delivery this week. We hope to have interns volunteering this week, courtesy of the Flushing Chamber of Commerce. 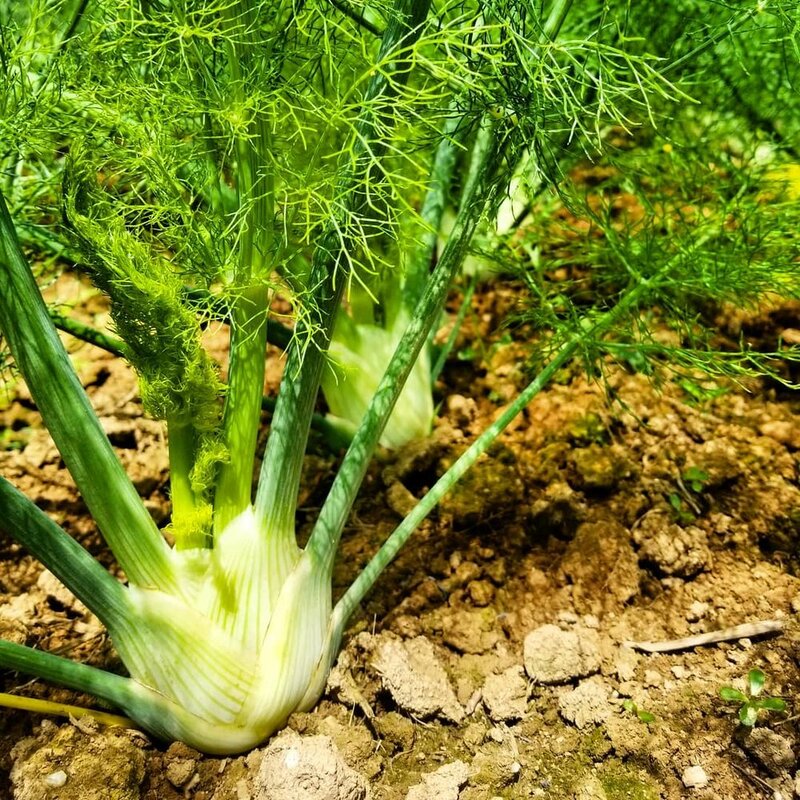 Fennel – I happen to love the flavor of fennel, but if you don’t – don’t despair. It mellows when cooked. Try it braised – recipe below. Storage: In airtight storage in the refrigerator. Uses: Raw or CookedWhen to use:Within 5 days. Zucchini – The very first picking of the season! While I love zucchini all ways, I still prefer it simply prepared by steaming until tender and serving with butter and salt & pepper. Also great grilled! Storage: In airtight storage in the refrigerator. Uses: CookedWhen to use: Within 5 days. Cucumbers – Also the first harvest of this crop! Crispy, juicy and sweet! Storage: In airtight storage in the refrigerator. Uses: RawWhen to use: Within 5 days. Red Kale – We are loving icy kale smoothies in this heat! Kale, frozen fruit, orange juice or coconut water! Storage: In airtight storage in the refrigerator. Uses: Cooked or Raw When to use:Within 5 days. Green Romaine Lettuce – Have you ever tried grilling lettuce? This hearty Romaine is perfect for it. Recipe below. Also fabulous in a Caesar salad! Red Beets – Cook up the greens like spinach. The beet roots are great raw if you grate them finely. Also delicious cooked (boiled or roasted) and sliced in salad. Storage: In airtight storage in the refrigerator. Store the roots and leaves separately. Uses: Cooked or Raw When to use: Within 5 days. Previous Flushing CSA (Week 5) Update! Next Flushing CSA (Week 7) Update!